I took this photo when I was on a short vacation in Colorado back in October. This shot specifically was taken in Nederland, a small town outside of Boulder in the mountains. 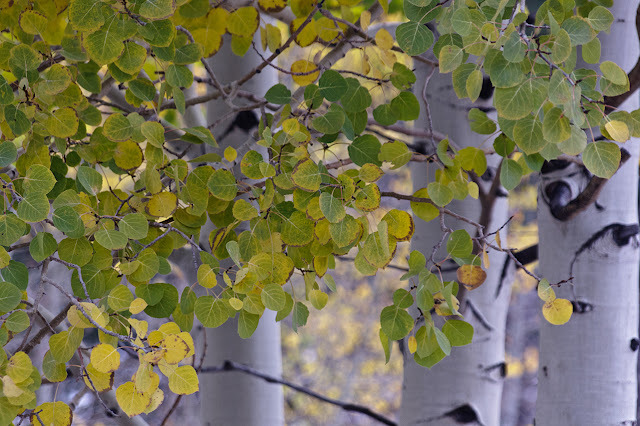 I love the leaves and the white bark of the aspens.